Dynamic Websites is based in the Melbourne suburb of Hawthorn. We are one of Melbourne's leading web design companies for small and medium sized businesses. Our range of clients is extensive - from picture framing shops, commercial kitchen suppliers to limousine services. We also have a particular focus on tradies - including fencers, painters, plumbers and electricians. You can have a look at some examples of our recent web design work. 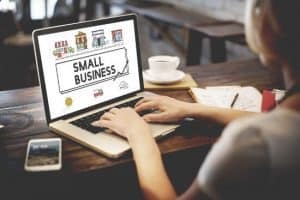 We understand what it takes to get a business online and the need to design websites that create a great first impression but still affordable for small and medium businesses. All of web design services are offered on a fixed price basis so you can select the web design package that best suits your needs and budget. If you decide on a custom web design package we will quote a fixed price upfront. We don't believe in long term contracts, hidden costs or monthly fees and we guarantee there will be no nasty surprises when it comes to our pricing of our websites. We also specialise in an extensive range of online marketing services. Our online marketing expertise extends to Google AdWords, Bing, search engine optimisation, content writing, blog writing and social media marketing. We are also a Google AdWords Partner so you are trust us to know what we are doing! Contact John today on (03) 9028 7337 or email john@dynamicwebsites.com.au to get a free no obligations quote on your new website. John is the founder and senior web developer for Dynamic Websites. He is highly qualified with a Bachelor of Computer Engineering from RMIT University, Melbourne. He is also Google AdWords Certified. There isn't much about computers he doesn't know. John has worked on many IT projects from small businesses to large corporations. As a software specialist he will not only design an engaging website but the nuts and bolts behind the pretty pictures will also be robust and reliable. He is not limited to using a template but has the web design skills to create the website you want at a fraction of the cost that large web development companies charge. Both John and Angela are supported by a small team of professionals in web design and online marketing. So why trust your website design to anyone else? Call John today on (03) 9028 7337 or email john@dynamicwebsites.com.au to find out more about the services we provide. Angela is the online marketing manager of Dynamic Websites. She has Business Degree with Masters qualifications from RMIT University, Melbourne and has worked for many small and large corporations both in Australia and abroad. After spending many years marketing businesses for others around the world she has returned to Australia to apply her skills to help small and medium sized businesses. With numerous published articles in international magazines (both in print and online) she understands how to engage a target audience effectively using good quality content. Angela has a special interest in Search Engine Optimisation (SEO) strategies and how to get a website found online without using Google AdWords. She also creates content for blogs to help engage your customers on a regular basis. So why trust your online marketing to anyone else? Call Angela today on (03) 9028 7337 or email angela@dynamicwebsites.com.au to find out what online marketing services can help your business grow. Dynamic Websites is based in the Melbourne suburb of Hawthorn but provide web design and online marketing services to small businesses all over Australia.